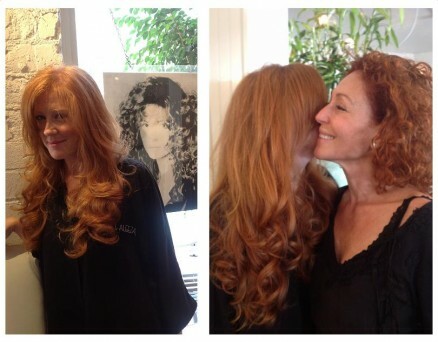 Our great friend Shiffy stopped by today to have Batia make magic with her hair. Sadly another stylist gave her a bad cut, so she called batia to help her. Batia came to the rescue and trimmed her hair back to perfection. She was the happiest after Batia worked on her hair! Love you Shiffy, hope to see you back again soon.